We are very excited to write to you this month as an official 501c3 organization with a beautiful, finished logo and a short four weeks away from our first official trip to Haiti as Laman Outreach, Inc. As we near completion of our developmental stage and move into the planning of upcoming projects, we are praising God for His faithfulness throughout this past year and His involvement in every detail. The final two components of Laman's development are the successful completion of both our website and Advisory Board. Although our website is now accessible to the public, the content, links and overall finished product are still in process. We ask for your continued patience while we work diligently to complete this task. Our Advisory Board is taking shape and we are thrilled with the team that the Lord has gone before us to prepare. We would like to officially announce the additions of Paul and Emily Bell and Rob and Shae Lawson to the Board. All four have previous missions experience in Haiti and bring to the team a wealth of experience in their individual fields as well as a shared love for the Haitian people. 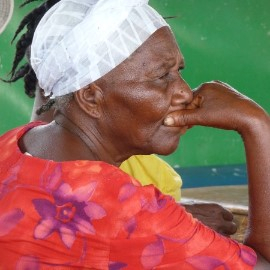 We'll be traveling to Haiti on December 7 to begin fleshing out plans for both the Bakery and Elderly Projects. Our goals for the Bakery Project on this trip are to start identifying a possible manager, meet with a successful missionary bakery currently operating in Port au Prince and encourage the congregation of Bethel Baptist to begin preparing both prayerfully and financially as we move forward. A crucial component of our trip is to meet with the elderly in Merger. We have asked the leaders of Bethel Baptist to identify 25 of the highest risk, elderly individuals in their congregation. This initial group will be slated to receive monthly assistance from Laman Outreach upon formal launch of the Elderly Project. While visiting next month, our plan is to meet, pray with, and provide a hot meal and care package to these 25 high-risk granmoun. It is our heart's desire that when we leave Merger on December 14 these individuals will know that they are loved and valued by their Heavenly Father. We fully trust that God is going to continue caring for them beyond our visit via Laman Outreach and the Elderly Project. In the aftermath of Hurricane Matthew and amidst continued political distress, the remainder of our itinerary while in Haiti is still continuing to evolve and take shape. In addition to the work outlined above, we are praying for opportunities to network with established organizations already on the ground with goals similar to ours. 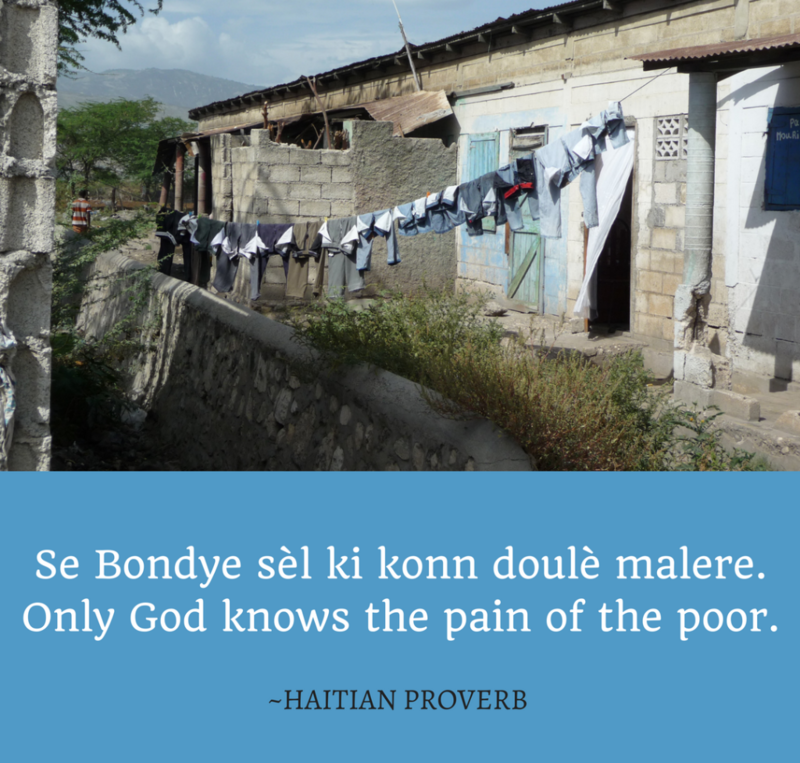 God is certainly at work in Haiti and we believe that working together in community is the most effective way to press forward for His glory. Lastly, as 2016 quickly draws to a close, we ask that you prayerfully consider giving an end of the year, tax deductible gift to Laman Outreach. Secure donations can be made via Paypal by clicking the link on this newsletter or by mailing a check to the address below. Additional details regarding end of the year giving, including the possibility of a generous matching gift, will be sent out later this month. Remember, 100% of every dollar donated goes directly to fund our current projects in Haiti. We greatly appreciate your taking the time to read this lengthy newsletter. We commit to shorter but none the less informative correspondence in the future. There is simply too much going on currently to have cut out any of the aforementioned. As always, we covet your prayers and look forward with great anticipation to how the Lord will use Laman Outreach and your support thereof to further His Kingdom in Ayiti. Copyright © 2016 Laman Outreach, Inc., All rights reserved.